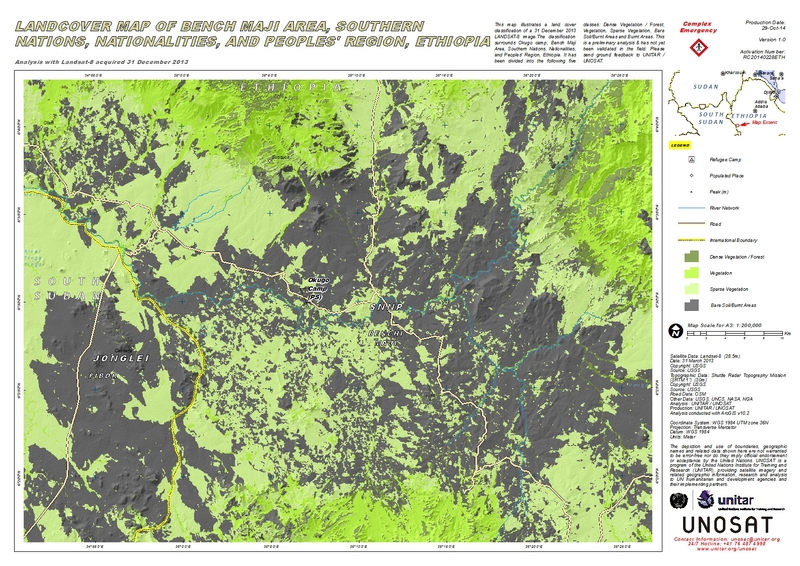 This map illustrates a land cover classification of a 31 December 2013 LANDSAT-8 image.The classification surrounds Okugo camp, Bench Maji Area, Southern Nations, Nationalities, and Peoples' Region, Ethiopia. It has been divided into the following five classes: Dense Vegetation / Forest, Vegetation, Sparse Vegetation, Bare Soil/Burnt Areas and Burnt Areas. This is a preliminary analysis & has not yet been validated in the field. Please send ground feedback to UNITAR / UNOSAT.